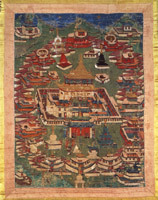 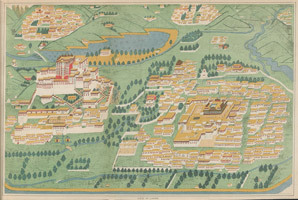 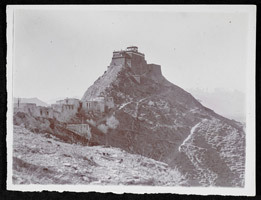 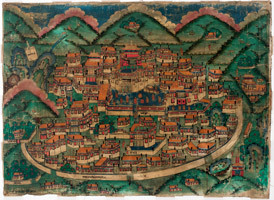 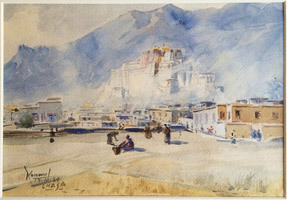 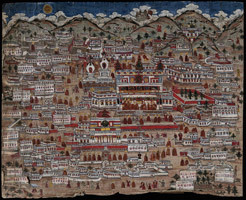 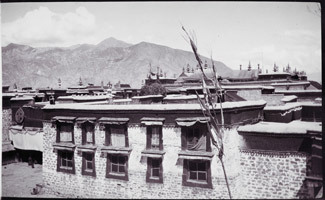 Bringing together over 50 works of art and photographs from the Rubin Museum collection as well as public and private collections across Europe and North America, Monumental Lhasa revives one of the original functions of these images—to transmit the holy city of Lhasa and other sacred sites to a remote audience. 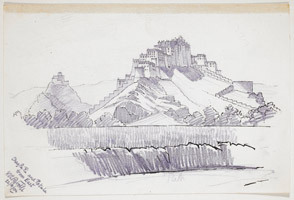 Spanning art that ranges from pilgrimage maps to photo albums, the exhibition explores how images contribute to the iconic character, familiarity, and power of important landmarks. 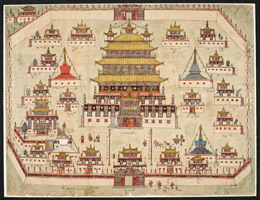 "Architecture is deeply connected to our impression and experience of places. 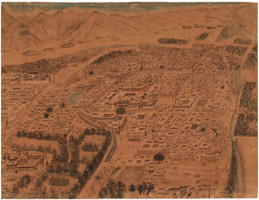 While we may never visit these sites ourselves, we often become acquainted with them through encounters with images on postcards, souvenirs, and various forms of media," exhibition curator Natasha Kimmet said. 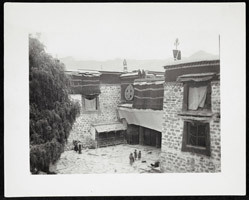 "In Lhasa, Buddhist pilgrims and other visitors created images focused on the capital's striking landmark buildings to recreate and convey their experience of this important religious and political center of Asia."